Home Inspectors are the professionals hired to give an unbiased opinion on the condition of an existing house or apartment. A home inspector does a thorough examination of a house, both inside and out to determine the home’s condition, habitability and safety. Home Inspectors check the condition of the roof, foundation, floors, walls, insulation, plumbing and electrical system. They look for evidence of deterioration or safety risks like faulty wiring and gas leaks. The inspection will determine where repairs will be needed and where there have been problems in the past. These inspections generally do not include opening walls or pulling up carpets. Each home inspection takes approximately two to four hours, depending on the size and age of the house. Doing the examination can be physically demanding for inspectors. They may have to squeeze into tight spaces, lift heavy objects, and climb into attics and onto roofs to do a thorough inspection. Following the inspection, the inspector writes a detailed report on the condition of the home including information on any safety hazards, maintenance problems and required repairs. The home inspector is also expected to be available to answer any questions the client might have and to clarify the limitations of the inspection to avoid misunderstandings. To be a successful home inspector you need to be a curious, thorough, and active person. It’s useful to have some knowledge of house construction, and to be able to see the whole house as a system with many interdependent parts. You will also be required to have good people skills and the ability to communicate well since the information you are conveying to clients is very important, and sometimes may not be what they want to hear. People with bachelor’s degrees in architecture and civil engineering will often feel comfortable with the skills required for home inspection. To become a Registered Home Inspector (RHI) in Ontario you must first become a member of the Ontario Association of Home Inspectors (OAHI) and fulfil their rigorous training requirements. The initial part of this training can be gained at one of many community colleges in Ontario . Other courses are available through the OAHI. While you do not have to have the training to work as a home inspector you do need it to attain the RHI designation. The registration or certification process includes course work, a set number of paid inspections and an examination. A Prior Learning Assessment (PLA) will likely give someone with an engineering degree from outside of Canada and previous engineering experience advanced standing in the course-work part of the process. As a general rule, home inspectors are self-employed. Like the owners of many small businesses they often work from their own homes. They have some flexibility regarding working hours but external inspections have to be done during daylight hours. In order to accommodate clients’ work schedules home inspectors often work weekends. Do you know of any firms that hire home inspectors? I think there’s an engineering firm in our area that does. According to the Ontario Association of Home Inspectors, a pre-purchase inspection for an 1800 to 2200 sq. ft. home typically takes about three hours and costs under $500. 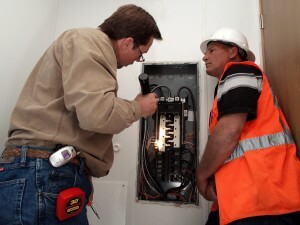 Generally a home inspector does two inspections a day. Home inspectors can earn anywhere between $30,000 and $80,000 or more a year, depending on how many hours they are willing and able to work, and on how well they evaluate business expenses when they set their fees. Job prospects for Registered Home Inspector are good. The housing market in Ontario is growing and will likely continue to do so for some time. Homebuyers who are newcomers to Canada may feel more comfortable hiring a Home Inspector who speaks their own language and can, therefore, answer their questions more easily. You must remember that the amount of work available to a home inspector is, at least partly, dependent on the real estate market. When few houses are on the market, there is less work. The amount of work a home inspector gets also depends on the strength of the reputation they establish, and whether they work in a large or small city, or in a rural area.